Red aluminum striking plate insert for better feel. Dual sight lines for increased alignment. 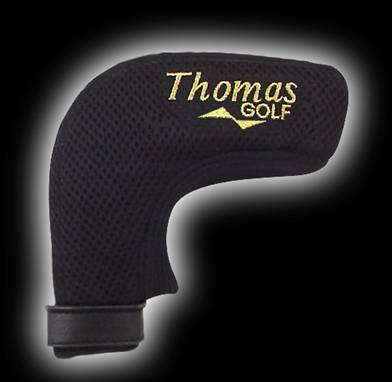 The Thomas Golf AT-12 mid-length (belly) putter is designed for golfers looking for the extra control and truer roll provided by a heavy-weighted blade head. 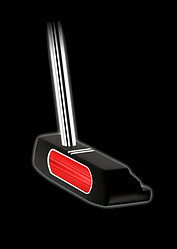 The AT-12 is a heel-shafted putter constructed of stainless steel and coated with a beautiful black stealth finish. With the shaft being placed in the heel of the putter, the AT-12 is ideal if you putt with the arc stroke (inside/square/inside). 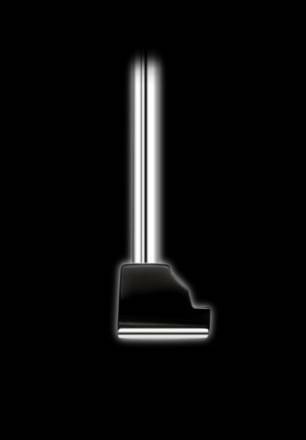 The heaviness of this putter allows you to use the larger muscles of your body during the stroke, promoting that ideal pendulum motion. 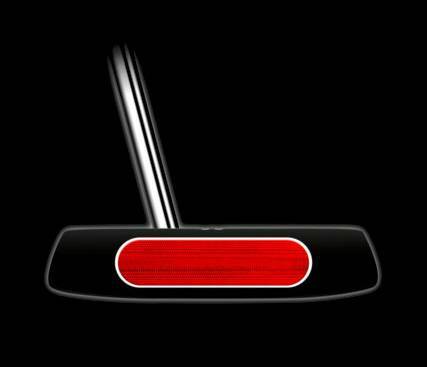 The high grade CNC-milled red aluminum striking plate insert provides a better feel off the putter face. 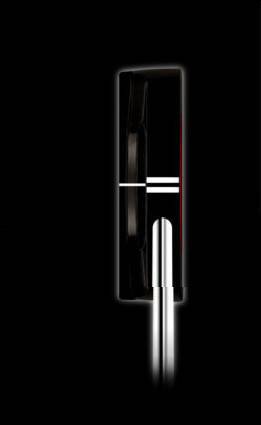 The unique dual sight lines positioned strategically behind the face assure your head is positioned directly over the ball during the putt. The AT-12 has a machined face and a high grade CNC-milled red aluminum striking plate insert. Like all THOMAS Putter designs, the AT-12 includes the bi-level dual sight lines golfers have praised about.